Our base tops are perfect to enhance the bases of your Infinity miniatures. 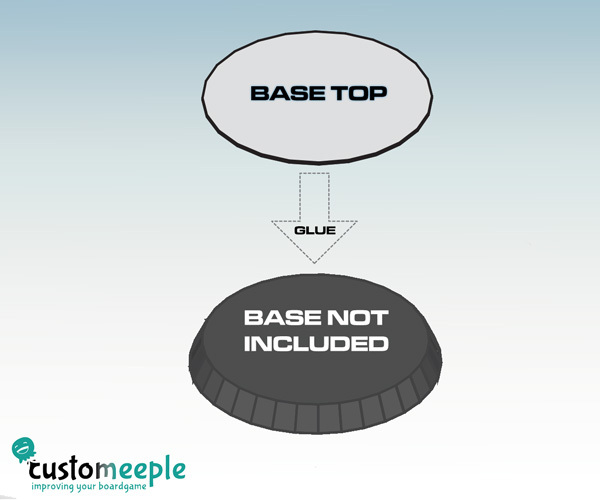 Our base tops are the ones used on the Panoceania miniatures bases from the official photos and had been designed by Angel Giraldez. The set includes a pack of thin inserts etched with Panoceania theme design. 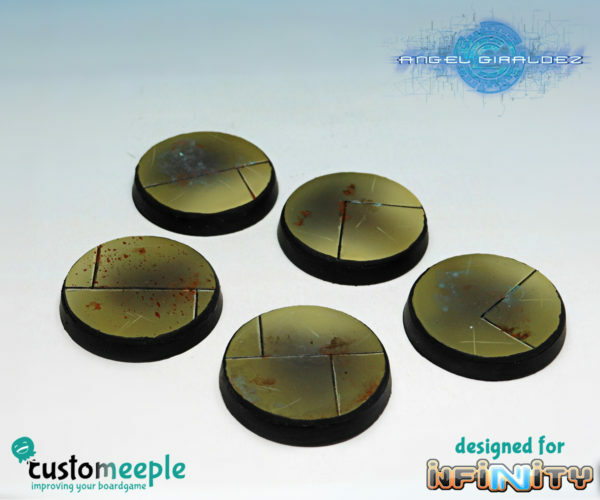 They are designed to be glued onto a regular infinity base, fit perfectly and hardly increase the base height. 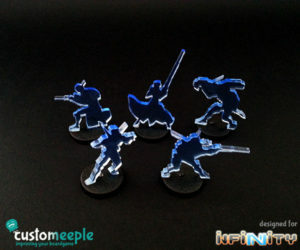 They fit perfectly on the official Infinity bases of 25, 40 or 55 mm. 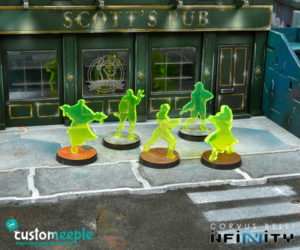 This product can be bought for each size, and DOES NOT includes Infinity plastic bases to use with the decorations. All the pieces are fabricated in High Density cardboard, a durable cardboard material for modelism very similar to MDF. You wont note any base height increase since its extra thin with only 0,32mm thickness. Quantity: 2 or 5 Bases and decoration. 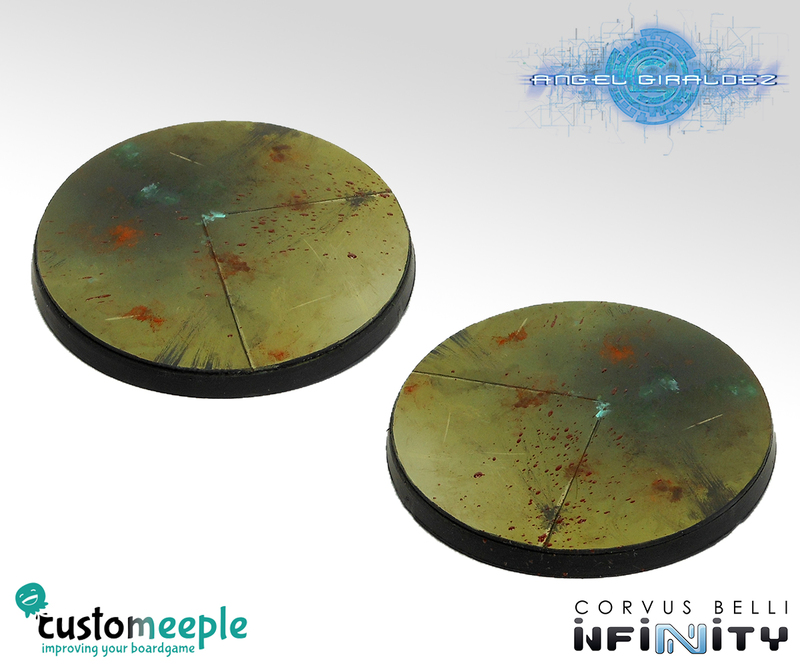 Use: Decoration for bases with custom design for Panoceania miniatures from Infinity. Note: The product is supplied unpainted and unassembled. The photo of the product is only a suggestion of painting by Angel Giraldez.